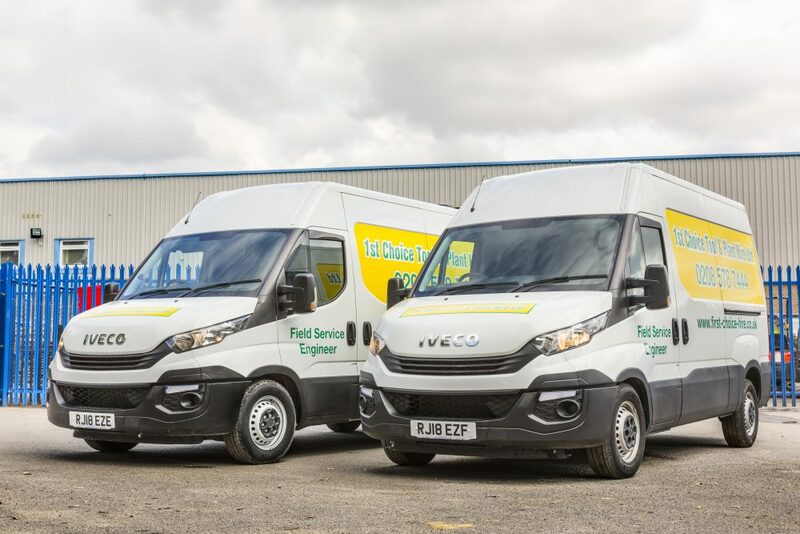 1st Choice Tool & Plant Hire has replaced its entire fleet with 12 new IVECO Daily light commercials, thanks to the manufacturer’s extensive vehicle range and strong local dealer support. 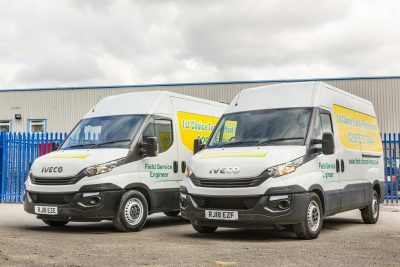 The deal for two 3.5-tonne Daily panel vans, plus eight 3.5-tonne and two 7.2-tonne Daily chassis cabs, represents a complete switch to IVECO from a rival marque. Rob Cox, Managing Director at 1st Choice Tool & Plant Hire, says: “We need a rugged vehicle that can handle our day-to-day work, especially as we transport diggers, dumpers and even three-tonne excavators. IVECO proved to us that the Daily is more than up to the task and the whole package they offered made it a no brainer. 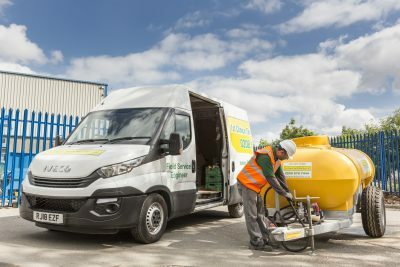 All 12 vehicles will deliver construction tools and machinery to customers in London and across the South East of England, offering what the customer describes as an ‘unbeatable delivery service’. Supplied by IVECO Retail in Hayes, five of the 3.5-tonne Daily chassis cabs (35C14) are fitted with dropside bodies and mesh tail-lifts by Ingimex, with the remaining three having plant bodies built by Shawtrack. Each Daily panel van (35S14) has a cargo volume of 10.8m3 – offering the perfect blend of load carrying capacity for deliveries into the heart of the capital. Both the 3.5-tonne vans and chassis cabs are powered by a 2.3-litre diesel engine delivering 136 hp and 350 Nm of torque, providing plenty of power for even the most demanding of duties. The larger 7.2-tonne Daily chassis cabs (72C18), which are also fitted with Shawtrack plant bodies, are powered by a 3.0-litre engine delivering 180 hp and 430 Nm of torque. These vehicles stand out for being the only light commercials on the market to feature a truck-like solid steel load-bearing chassis made of high strength steel up to 5mm thick. IVECO’s high performance QUAD-TOR front suspension on its twin rear wheels also ensures drivers enjoy excellent control in all conditions. All new vehicles have been supplied with a five-year IVECO Elements repair and maintenance contract, which has been structured to maximise uptime and performance over a long life. 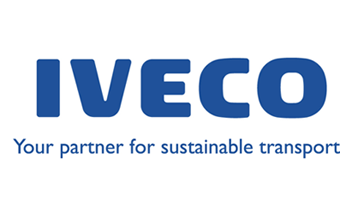 All routine work will be carried out at IVECO Retail’s site in Hayes, just eight miles from the customer. In operation five days a week, each vehicle will clock up approximately 35,000 miles a year and remain in service with the customer until 2023. The IVECO Daily offers the highest gross vehicle weight of any light commercial on the market, combining a payload capacity greater than many 7.5-tonners with excellent manoeuvrability and low operating costs. The range offers the widest line-up in the industry, with gross vehicle weights from 3.5-tonnes to 7.2-tonnes, and cargo volumes from 7.3m3 to 19.6m3 on panel vans. Established in 2006, 1st Choice Tool & Plant Hire operates from its main site in Greenford and has a second depot in Park Royal.